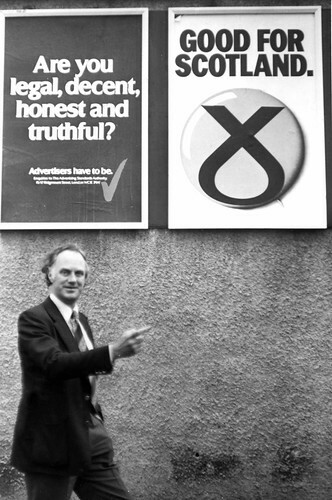 Image shows a gentleman pointing at the SNP slogan “Good for Scotland”. The gentleman in the photo is identified as Borthwick. Is it G J Borthwick or Ian Borthwick? http://www.scottishpoliticalarchive.org.uk/wp-content/uploads/2017/02/spalogocmykpaths-290x300.png 0 0 SPA_admin http://www.scottishpoliticalarchive.org.uk/wp-content/uploads/2017/02/spalogocmykpaths-290x300.png SPA_admin2010-11-23 12:09:022010-11-23 12:09:02Can you help us identify this picture?